The concept of a Sikh ministry was first started by the Third Guru, Guru Amar Das ji, in the mid-1500s. In 1971, in acknowledgement of his extraordinary impact of spreading the universal message of Sikhism through sharing the Sikh teachings with the spiritual seekers in the West, the Akal Takhat bestowed on Harbhajan Singh the title of Siri Singh Sahib, whereupon he was given the responsibility to create a Sikh Dharma Ministry in the West. The Siri Singh Sahib saw it was our destiny to be Sikh Dharma Ministers. Each person has unique gifts that are needed to serve our sangats and communities. The Ministry is like a beautiful patchwork quilt, each person being a unique part. When these parts are sewn together by the Guru’s Word, the Ministry becomes a blanket that covers all the needs of the sangat. No single Minister has to do it all–it is a group effort. The Sixties were a time of great change. Revolutionary thoughts and actions surrounding the conflict in Viet Nam, civil rights, and Women’s Liberation claimed the front pages of newspapers across America. Student revolts and bank bombings by youthful agitators made the news on a daily basis. Young people in cities, universities, and rural towns across America made their voices heard. In the wake of these changes, a spiritual revolution brewed in Kundalini Yoga ashrams and at Solstice celebrations led by a humble yogi from India known as Yogi Bhajan. If you weren’t part of the solution, you were part of the problem, as change fomented in the heart of American culture. This revolution provided the backdrop for the Siblings of Destiny to answer their call as Ministers of the Aquarian Age. 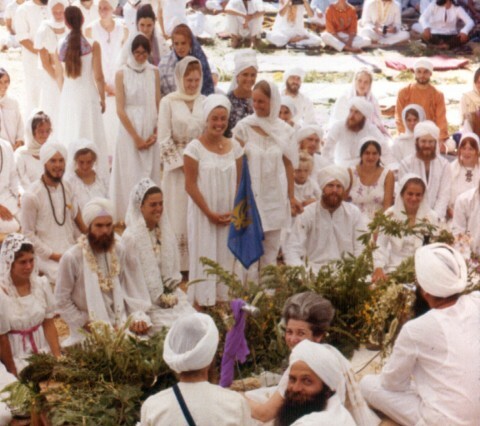 The youthful Kundalini Yoga students who were drawn to the 3HO and Sikh Dharma lifestyle taught by Yogi Bhajan found themselves taking vows as Sikh Ministers en masse at Summer Solstice Sadhana in June 1972. Others, hand-picked by the newly appointed Siri Singh Sahib to serve as Mukhia Singh Sahibs and Mukhia Sardarni Sahibas, led the burgeoning Sikh Dharma movement in the West. SS Sarb Jit Kaur and her husband were serving as yoga teachers and ashram directors in Oklahoma City. 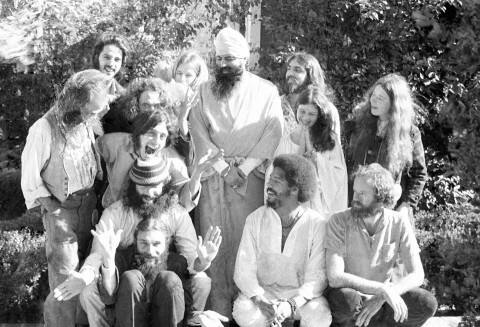 Like many newly-ordained Sikh Dharma Ministers, they returned to their ashrams and yoga centers with the charge to be leaders and teachers of the Aquarian Age. “We didn’t really have a Gurdwara or a Siri Guru Granth Sahib in the early days,” Sarb Jit Kaur remembers. “We took hukams from the Peace Lagoon. It was a long time before I actually took a class in Dharmic or ministerial protocol. We did have a Sikh Dharma manual to help us set up our Gurdwaras,” she said. One of the early Sikh Dharma Ministers, Bhai Sahib Dyal Singh brought clarity and balance to the practice of teaching Sikh Dharma. Though only 17 years old when the Siri Singh Sahib made him the Bhai Sahib (a title of honor), he shared his love for the Guru with all. 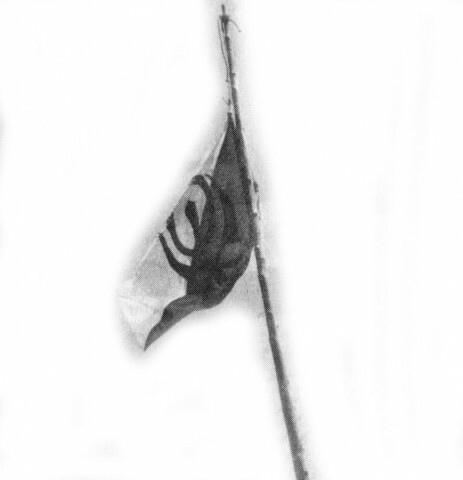 When the Siri Singh Sahib was given the responsibility to create a Sikh Dharma Ministry from the Akal Takhat, he created the Ministry of Sikh Dharma on the concept of the Manji system. In the West, we have adopted the word ministry, because it implies a life of service and devotion, but it is important to understand that we don’t share many characteristics with ministers of other faiths. Sikh Dharma Ministers do not live off their congregation; they humbly serve their sangats and communities in a variety of ways while working in the world as professionals and householders. In 1971, the Siri Singh Sahib ordained 19 male Ministers. On June 27, 1972, the Siri Singh Sahib ordained a large group of women as Sikh Dharma Ministers at the Summer Solstice gathering in Mendocino, CA. This was the first ever ordination of women as Sikh Dharma Ministers in the West. As a holy man and spiritual leader, the Siri Singh Sahib saw the “soul destiny” of each person and gave them an opportunity to fulfill it through serving as an ordained Minister. The spiritual nation he envisioned is what we serve today as Sikh Dharma Ministers. The Office of the Secretariat handled the administration of the Ministry until the mid-1970s. The Siri Singh Sahib requested that the Office of the Chancellor take over the duties of maintaining the database of ministers and handling the annual renewal of Ministers as well as legal issues. According to SS Ek Ong Kar Kaur, who served in the Sikh Dharma Chancellor’s Office since the early days, it was a big job to keep track of the Ministers and to maintain contact and communications. The legal structure, including the annual issuing of Minister ID cards with photos, was designed by the Siri Singh Sahib to protect the legacy of Sikh Dharma. “I have loved serving the Ministers,” she said. “We are like beads on an etheric rosary connected through prayer and service.” After 40 years of service to the Chancellor’s Office and the Office of the Secretary of Religion, SS Ek Ong Kar Kaur retired in 2013. The roster of the early ministers is an odd mix of East and West. Singh Sahib Fred Singh and Sardarni Sahiba Joan Kaur took the bold commitment from hippie to humble servant of the Guru in the blink of a third eye. We may never know all the individual stories of this Dharmic evolution. All we know for certain is that the roots of the Sikh Ministry have spread across the planet as a strength and a support for the legacy given by the Gurus and the Siri Singh Sahib for generations to come. During the time of Guru Arjan Dev ji, the missionaries evolved into masands (community leaders). They led the Sikhs in their congregations, spread the message of the Guru, and collected the Dasvandh (offerings) from the sangat. 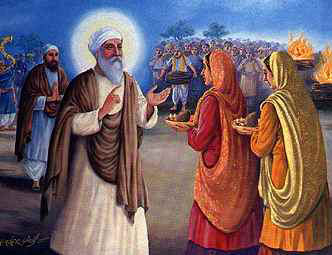 Once a year, the masand would visit the Guru, bringing people from their sangat, and bringing the Dasvandh collected throughout the year to the Guru’s treasury. The masands helped to spread Sikhism all over India, and served to create a cohesive network through the Sikh communities. As time passed, the masands became neglectful of their duty to the sangat and instead worked only for their personal benefit. Because the title and duty of masand became an inherited position, the son took the duty of the father, whether the son was a good Sikh or not. Many masands began to abuse their people and live richly off the Guru’s donations. By the time Guru Gobind Singh stood before the sangat as the Tenth Guru of the Sikhs, the masand tradition was fully corrupt and the sangats were suffering. When the Guru determined that the system was corrupt beyond recovery, the masands were called to account, and punishment was given out according to the misdeeds of each perpetrator, ranging from a gentle verbal rebuke to death by hot oil being poured on his head. Sikh Dharma had not had a formal ministry since that time. Granthis (custodians of the Sikh scriptures) and missionaries are educated in a variety of ways, usually at one of the established Taksals (places of learning), and then take positions and posts at Gurdwaras around the world as one would apply for and accept a job. There is no central organization or system, and each Gurdwara must maintain the purity and quality of their own employees. In 1971, the Siri Singh Sahib was given the responsibility to create a Sikh Dharma Ministry from the Akal Takhat. He created the Ministry of Sikh Dharma on the concept of the Manji system. In the West, we have adopted the word ministry, because it implies a life of service and devotion, but it is important to understand that we don’t share many characteristics with ministers of other faiths. To be a minister means we are the first to step forward, the first to offer whatever is needed, the last to eat, and the last to sleep. If we maintain our purity of spirit, then the Guru’s love will always be there to give us strength and endurance. But if we fail in our duty, remember that Guru Gobind Singh will always be there to call us to task. 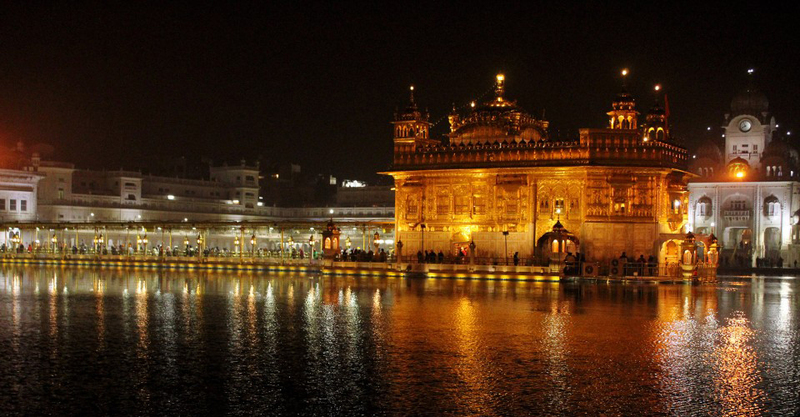 To carry the honor of Singh Sahib is a heavy responsibility, and one that should never be taken lightly.